Vladivostok was founded in 1860 as a military outpost, but its outstanding natural harbour soon brought it prosperity as a trading port. The city’s nomination as the headquarters of the Russian Pacific fleet in the 1870s brought further growth, and by the twentieth century it had become a major centre of international trade. The name Vladivostok means “The Mighty East” but during the Soviet era it remained off-limits to foreigners and practically off-limits to most Soviet citizens. 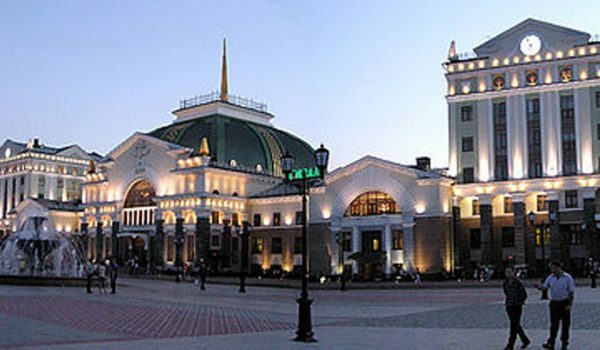 Today, however, it can be the first or last stop on your rail journey throughout Russia, and a worthwhile one at that. 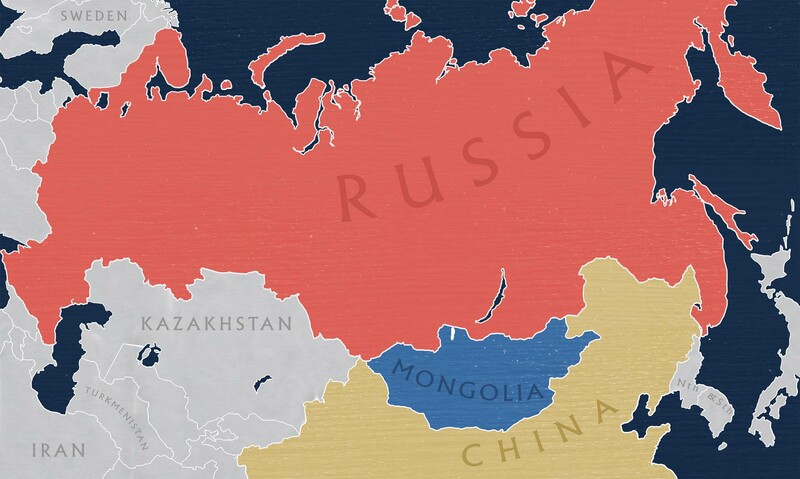 A major port and home of the Pacific Fleet, the city retains a strong Chinese and Japanese influence being close to the borders of both of these countries and is becoming Russia’s high-living commercial centre in Asia. Vladivostok – Fushiki – direct. There is a weekly ferry “Rus” from Vladivostok to Japan (Fushiki). It is a comfortable ship with 2 restaurant (Russian cuisine) and bar. All rooms have shower and lavatory. “Rus” departs Vladivostok every Monday at 18:00 and arrives Fushiki on Wednesday at 9:00 a.m. The same ship departs Fushiki every Friday at 18:00 and arrives Vladivostok on Sunday at 9:30 a.m. Cost of ticket includes full board of meals. Fushiki is a small port and situated 20 minutes from Takaoka (the centre of prefecture Toyama). It takes about 4.5 hours to reach Tokyo from Takaoka by train. It takes about 4.5 hours to reach Tokyo from Fushiki by train. The ferry “Eastern Dream” operates from Vladivostok to Korea (Donghae) and Japan (Sakaiminato). Some of the better things in life are free, including sea views. A good range of Vladivostok’s sights are available free of charge. The pedestrian bridge over the Zolotoy Rog Bay and the lighthouse on Egersheld Peninsula are best to visit when the weather is good – believe us don’t try at any time! 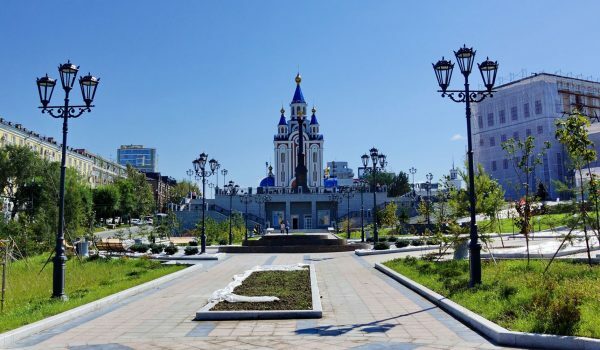 Other free activities are to borrow a few Russian literary classics from the public library in Sukhanov Park. Then visit the statue dedicated to the deep-sea sailor wearing bell-bottomed trousers and holding the his new Led Zeppelin album under his arm. This is how a lot of western music got into Soviet Russia, via the sailors! The best period to visit Vladivostok is from early August to the end of October. In July Vladivostok hides its beautiful bridges with fogs thicker than those in London – locals wear waterproof jackets and don’t consider going to the beach. However, in September the weather often allows for swimming at the beach and sunbathing. In October, when trees in Moscow have almost lost all their leaves, this area experiences its annual peak in sunny days. Do not miss the autumn colours in Vladivostok – they come out in the multicoloured Sopka Hills against the backdrop of the ocean’s blue. Spring seasons are usually long and foggy. Vladivostok has incorporated many attributes of the different cultures that make up this city. To dine on affordable seafood and wine go to Moloko i Med (Milk and Honey) near Sukhanov park. You can’t leave Vladivostok without trying “pyanse” (steamed buns stuffed with cabbage and meat), a local street food based on a popular Korean traditional dish. The best place to buy pyanse is from the stalls near the Clover House shopping centre If you are seeking the best noodles try the New York Street Food stall near Sportivnaya Bay. If you get to visit the Tokarevsky Lighthouse, located at the edge of the Gulf of Peter the Great – great views, but remember the weather warning!. On your way you can stop at Goryanka, a restaurant specialising in Karachay cuisine. Karachay food may not be as well known as Georgian or Armenian (it has shashlyk kebabs and spicy meat soups in common with them), but it does have its own masterpiece: khychiny, big round pies similar to Georgian khachapuri. Khychiny are filled with either meat and herbs or potatoes and cheese and are extremely filling. One of the oldest restaurants in Vladivostok, Lesnaya Zaimka, is located at the city’s entrance and is famous for having hosted VIPs such as Leonid Brezhnev and U.S. president Gerald Ford. Throughout its history the restaurant has remained a mecca for Soviet epicures, an outpost of hunters’ cuisine in the Far East, and a hallmark of Vladivostok fare. The former North Korean leader Kim Jong Il and the prime minister of Singapore, Lee Hsien Loong, as well as members of the Russian government and other celebrities all have dined here.